Design and development of the Social and Personal Weddings website. 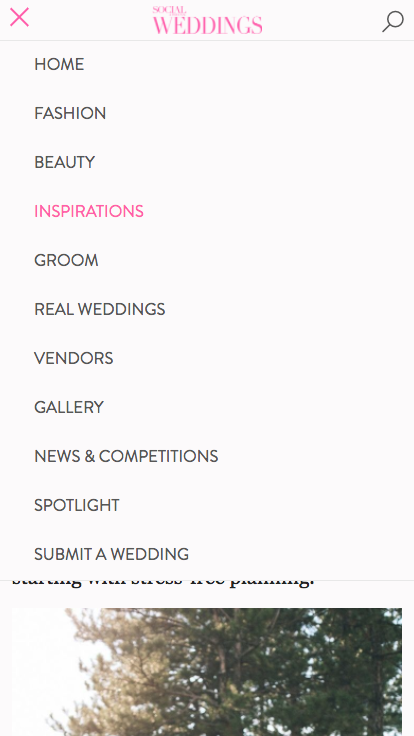 Ireland's most stylish Wedding magazine and website. Over flowing with fashion and beauty trends, the most beautiful Wedding venues and lots of other gorgeous treats for the perfect wedding! 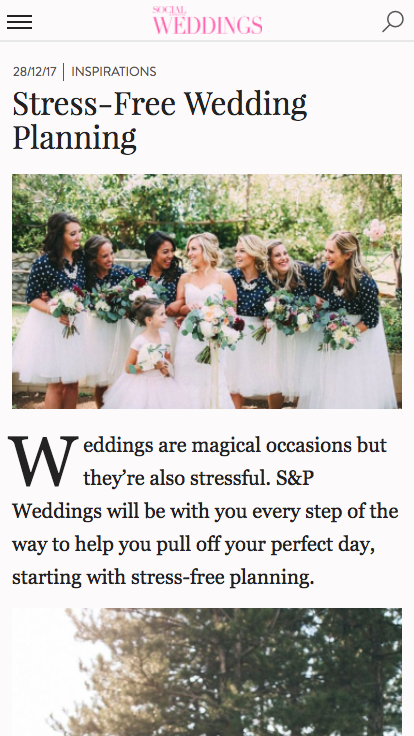 Social and Personal Weddings gives insights and helps brides and grooms get the most out of their big ‘I Do’ day with inspiration for ceremonies, dresses, photoshoots and much more. 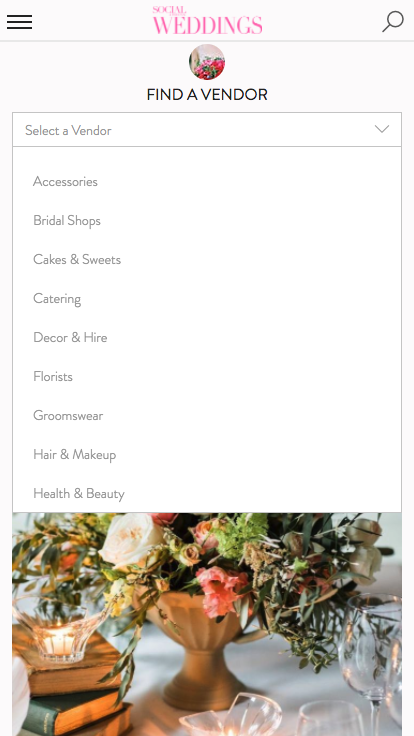 Square1 were commissioned by Social and Personal to design and develop a fully mobile responsive website for their wedding publication. The new site is fully integrated with Google DFP ad server, this allows the team at Social and Personal full control over site wide sponsorship integrations. Square1 kicked of this development with brainstorming sessions to sketchup user flows and stories. Square1 produced a number of clickable prototypes with multiple design and user features before going on to develop out the full backend and frontend of the website.